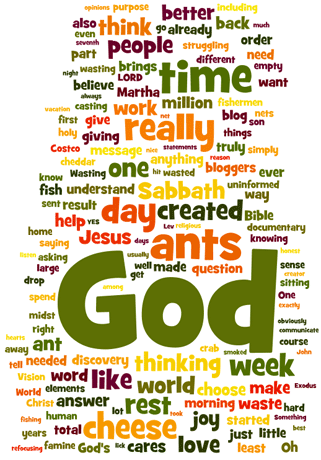 I have a close friend who recently wrote a very telling reflection I would like to share with you. I attended college with this committed man of faith and even worked for his organization for a time when I was in my early 20s. 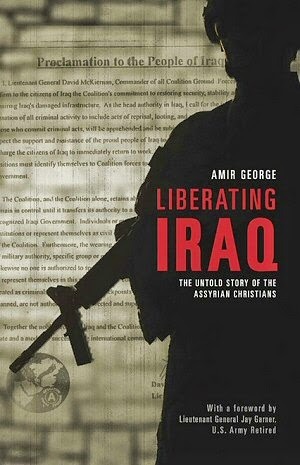 Amir George is an Assyrian Christian who now splits his time primarily between Baghdad, Iraq, and Washington, DC, advocating for a homeland for persecuted Assyrian Christians. Because he works at least part of the time in one of the world's most dangerous cities (and does so without a "minder"), he wrote his book, Liberating Iraq: The Untold Story of the Assyrian Christians, under a pseudonym. I know him by a different name than "Amir" but for obvious reasons won't reveal that here. Anyway, my friend's words (below) really set me to thinking about the interesting contrasts between a place like America, founded as "one nation under God," and a place like Iraq, whose people have again and again suffered under the brutality of despotism, war, privation, and terrorism. So, without further adieu, here is my friend's note. I'd be interested in hearing your thoughts in the comments section. A Politically Incorrect Christmas in Baghdad! Walking the streets of Washington DC in the days leading up to Christmas, a few years back, a most interesting realization slowly dawned on me. Nowhere, and I mean absolutely nowhere, was Jesus to be found in the midst of all the extensive Christmas decorations and celebrations. In the stores, on the streets, wherever you turned, it was Christmas, but Christmas without Christ! I started talking to people and asking them a simple question: "Isn't Christmas the birthday of Jesus?" The answers I got were quite amazing.Literally everybody I talked to paused and said, "You know, you`re right! It is supposed to be Christ's birthday. What happened to Jesus?" It is the most amazing thing. Imagine if you had a birthday ... your friends all came over, they partied, they ate, they exchanged presents and everybody acted if you didn't even exist. Well, after a few minutes of that you would want to stand up and shout, "Hey! What's going on here? It's my birthday!" After speaking with dozens of people, I began to get angry. No matter what faith, creed, color — and you can find just about anything in Washington DC — they agreed, there was something wrong with this picture. It's Christmas, celebrated as the birth of humanity's central historical figure, Jesus, and amazingly, there appears to be a very studied attempt to completely ignore Him. I am an Assyrian Christian and my family is originally from the Iraqi village of Mahoudi, in Northern Iraq. I was there during Saddam's time and remember the sheer terror that reigned 24 hours a day. The constant fear that you could be hauled off by one of his "goons" and never seen again. In Iraq, the poor Iraqis have apparently not yet learned that you are supposed to ignore Jesus on Christmas. Sponsored by the Iraqi Government (I repeat, sponsored by the Iraqi Government ... there is no "separation of Church and State here) there was a special Christmas celebration in downtown Baghdad. Guess what the main attraction was? A huge Christmas tree topped by a Star? Nope! The focus of the celebration was a huge picture of ... Jesus! There it was! A huge, beautiful color painting of Jesus, the center of the Christmas celebration, some four stories tall. Iraqi Government spokesman Abdul Karim Khalaf took it all one step further when he announced, on behalf of the Iraqi government: "All Iraqis are Christians today." What Can We Learn From Politically Incorrect Iraqis? After meeting with Iraqi Prime Minister Maliki on behalf of the Assyrian Christians, I asked him, "Prime Minister, would you mind if I prayed for you?" Maliki beamed, then ordered the beefy (and now somewhat confused) security guards surrounding us to bow their heads. We had a wonderful time of prayer. Meeting later with Iraqi President Talabani on the same subject, I asked the question again. He pointed to his chest and told me, "I just had surgery on my heart — pray here!" I wondered what kind of a reception I would get on Capitol Hill, at the State Department or a dozen other government agencies, if after a meeting I asked "Would you mind if we had a word of prayer together?" A cold silence, mass panic, or perhaps a straight NO ... with a couple of exceptions, that would surely be the response. Well, Washington and all of us this Christmas can learn something from the poor, politically incorrect Iraqis. Christmas celebrates the birthday of Jesus, and the Iraqis got it right. He should be exalted, front and center. The Iraqis at least know this much: They know they need Jesus and all the blessings they can get.